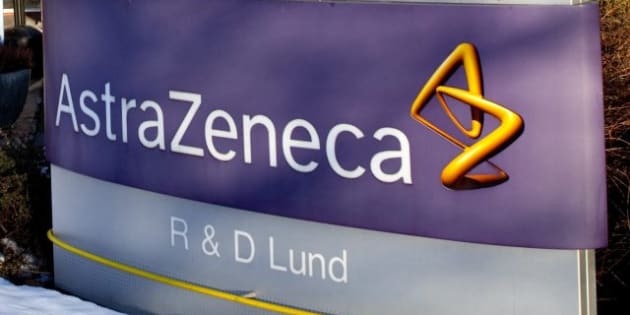 LONDON - Struggling drug company AstraZeneca outlined a major restructuring of its business on Thursday, including some 2,300 job cuts worldwide as it overhauls its research operations. The cuts come only three days after the company axed 1,600 research positions, bringing the total number of cuts to more than 11,000 in the past 13 months. The new chief executive, Pascal Soriot, described the cuts as part of the company's "unambiguous commitment" to concentrate on priority projects in the pipeline. "As we focus, accelerate and transform our business we know that our success will ultimately be measured by the quality of execution," he said in a statement. "I'm confident that we have set out on the right path to return to growth and achieve scientific leadership,"
The loss of the positions will result in a one-time $2.3 billion restructuring charge. AstraZeneca PLC has been hard hit by the expiration of patents for drugs products such as the antipsychotic Seroquel. Generic drug makers have muscled in, and the company acknowledged in its statement that the company would have to "navigate a period of revenue decline during which some of our major products are scheduled to lose exclusivity." The company said it would regroup its research, development and commercial operations in three strategic R&D centres that would be closer to bioscience hubs like Cambridge, Massachusetts. It also announced a new collaboration pact with the Swedish medical university Karolinska Institutet. "These proposals will make it easier for our researchers to collaborate with external partners and with each other," the statement said.